One of the first things that I did with my new Nutribullet Rx was make soup. 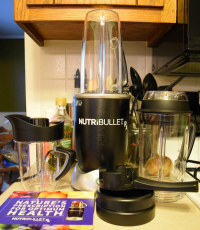 The Rx adds a pitcher and heating through friction, so Nutribullet soup is now rather easy to make. The cashews in this add protein to help fill you up. plus it helps round out the flavor. 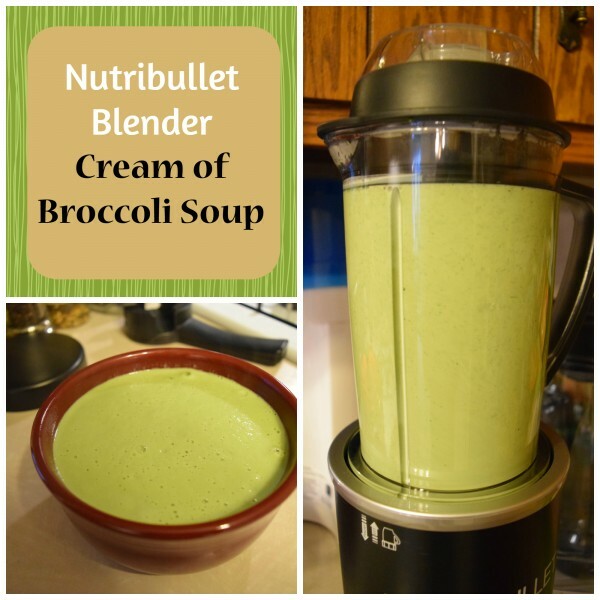 The Nutribullet Rx makes a very smooth and frothy soup. 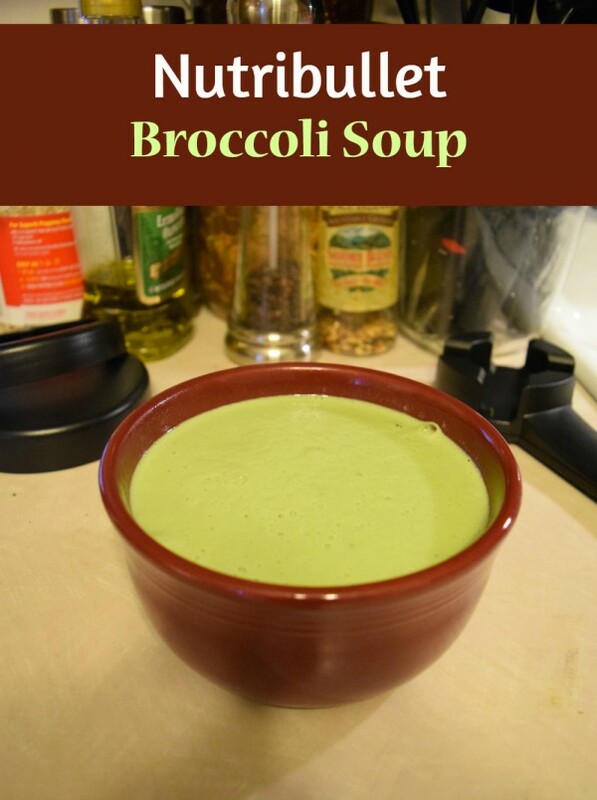 I set aside some steamed broccoli to add into the finished product to give it some texture and am glad that I did so, but doing that is totally optional. This recipe is not vegan, as it uses skim milk and a chicken bouillon cube. However, you can make it vegan by omitting the bouillon (you can add a teaspoon or two of nutritional yeast for a flavor boost if you like) and by using all almond milk. Soy milk or rice milk would also be acceptable. Important note! Don’t overfill your pitcher or it will leak out of the top! I recommend keeping all ingredients below the max line. 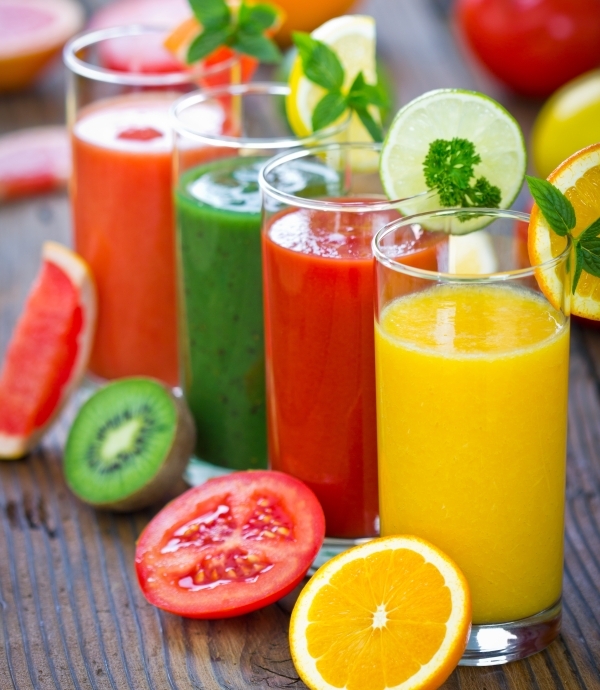 If you are making this in another blender, you may have to blend slightly longer to get full heating. For example, a Vitamix can take up to 10 minutes to get soup really hot. 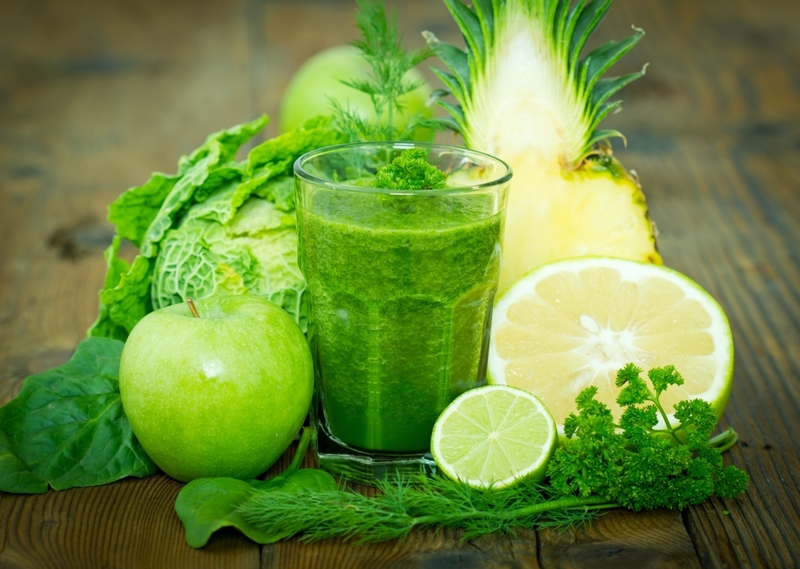 the nutribullet rx doesn’t have a heating element as you say several times in your reviews, it heats the soup by friction of the blades, as far as i know this is the way all blender soup machines work. You are correct. I edited the article to change the term to function to make that clearer. Yes it does! I use it all of the time to make hot soups and lattes!